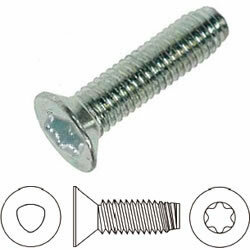 APEX Fasteners provides a complete selection of thread cutting screw types to suit all requirements. In addition to the common points listed below, many different thread forming screws are available to lower assembly costs by solving application problems such as eliminating the need to drill and tap panels. 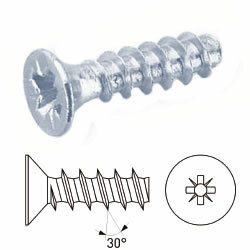 These can be broadly categorized into thread forming screws for metal and thread forming screws for plastic. Apex Fasteners offers the Trilobular™ family of products developed by REMINC for production orders. This includes the Taptite®, Taptite II®, Duo-Taptite®, Extrude-Tite®, Plastite 45®, Plastite 48-2®, and Pushtite II® all manufactured under license. Most fasteners can be provided with optional extras such as Sems versions, under the head nibs for locking or electrical conductivity, unrolled root diameter dog points, and partially threaded shanks for captivating in cover plates, or security drive systems. Thread Forming Screws for Plastic. Thread Forming Screws for Metal.